Former Chipolopolo boss Wedson ‘Wada-Wada’ Nyirenda may be replaced by former Township Rollers head coach Nikola Kavazovic, The ZamFoot crew understands. According to ZamFoot crew sources in South Africa, Baroka have been looking for a coach to replace Nyirenda who has found life in South Africa tough. “The former coach for rollers might replace Wada Wada at baroka. They we’re other coaches they were considering but they ended up settling for Kazazovic. It was done last month,” the source said. Kavazovic and Rollers part ways earlier this week after a year and three months stay at the Mma Masire side. 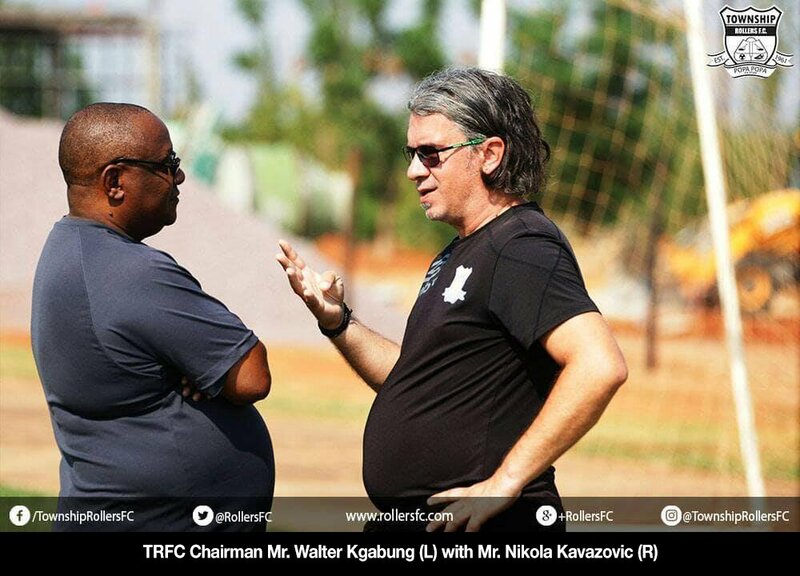 The club said the decision was reached after mutual consent but some sections of the Botswana media reported that Kavazovic was in bad terms with Rollers president and chief financier Jagdish Shah after many rife cases of insubordination. The Serb however made quiet a CV for himself in the short time he was at Rollers guiding the team to a domestic league double, a Top 8 crown and historic qualification of the CAF Champions League group stages. Baroka FC came out to dismiss the rumours that the Serb was headed to join Bakgaga. Baroka CEO Morgan Mammila admitted that they wanted him long before settling for the Zambian tactician but that he suggested he was headed to a big club with Kaizer Chiefs also reported to be chasing him. “He is waiting for a big team that man, not Baroka. He is going for a big team, you can see the other man is struggling there. We wanted him earlier but we opted for Nyirenda,” he added. Wedson Nyirenda has not had the best of starts to his life at Baroka having only managed to collect 7 points from 10 games leaving the club in 15th place on the Absa Premiership table. Sorry wada, come back home try to restart yo couching career with Zanyaco or Power dynamos. This website is so boring nowadays. It is full of self censorship. A post just cant stick. Come on man! This country is a democracy! Believe in yourself.